"Clear and Brilliant is a simple, in-office procedure with minimal downtime that reduces pore size, smooths texture and removes brown spots," confirms Dr. Champagne. "Essentially, [it] just makes your skin look fresh." Of all the skin resurfacing lasers, Clear + Brilliant is one of the most gentle, which is why it’s often described as the "starter" laser. Clear + Brilliant is a non-ablative fractional laser, but it penetrates at a lighter depth. "A fractional laser beam comes out like little pixel dots and affects only a percentage of the targeted skin," explains Dr. Champagne. This means that instead of treating all the cells in a specific area, only a fraction of them are resurfaced, leaving behind a smattering of healthy cells that will (remove -> be the heroes and) initiate a robust healing response. The regenerative action provided by the non-treated tissue left behind is what actually rejuvenates the skin. Clear + Brilliant is great for the 20 or 30 year old who wants a more advanced treatment than her/his current skincare regimen, but doesn’t need the full transformative benefits of a more aggressive laser skin resurfacing procedure. It’s perfect for reversing and preventing early signs of aging and correcting minor sun damage. 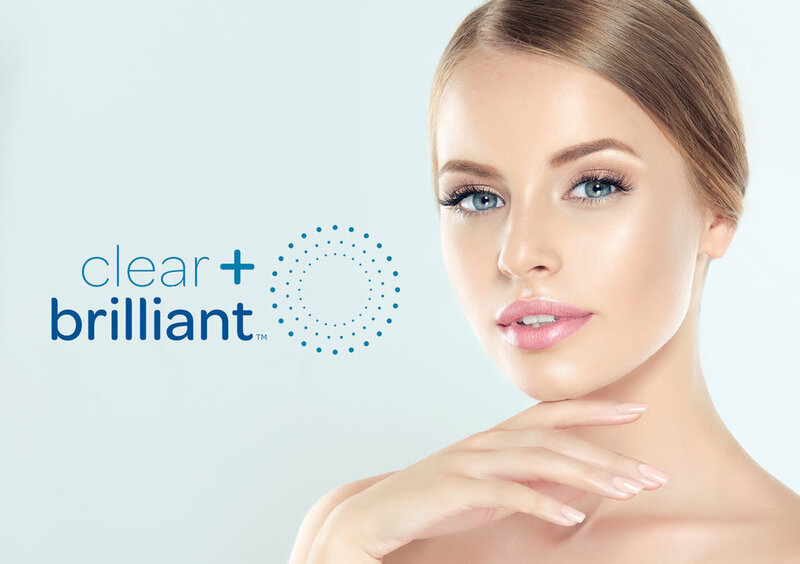 While Clear + Brilliant is great for those seeking preventative skincare, it is also great for those looking to maintain and prolong the results of more transformative procedures like a facelift or even after a more aggressive fractional laser resurfacing treatment. A numbing agent will be applied to the face 30 minutes prior to treatment. Dr. Champagne will individualize the treatment settings and then guide the Clear & Brilliant hand-piece across the treatment area. During treatment patients tend to experience a warm prickling feeling with little to no discomfort. After treatment, a cooling serum is applied to the area to soothe skin. Recovery time is minimal with some patients experiencing slight redness for 12-24 hours following treatment. The treated area may also feel faintly rough for up to five days after treatment. Most patients return to their daily routine within one day post treatment. Please contact Dr. Jason Champagne to schedule a personalized, confidential consultation with our facial plastic surgeon, Dr. Jason Champagne. During your consultation, Dr. Champagne will address your goals and answer any questions you may have regarding Clear and Brilliant or any other procedure we offer.